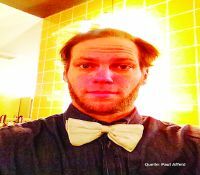 PAUL AFFELD is the founder-developer of a hiphop band called Puppetmastaz. 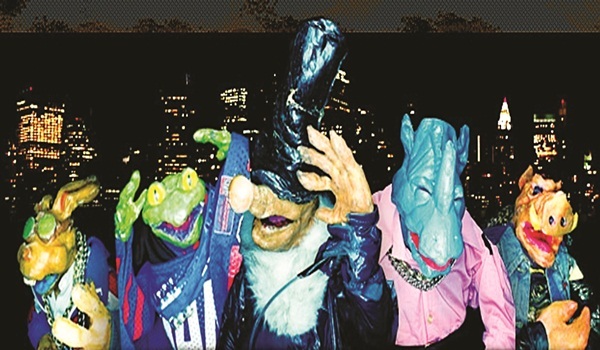 And, members of his band are animal glove puppets, who complete their cool, urban persona with caps, metal chains, and oversized, glittery sweatshirts. Mr Maloke, a mole rapper, is the frontman of this band, comprising hare, pig, lizard, and other creatures. They have done more than 500 concerts around Europe, USA, Canada, Brazil, Japan, China; and have cut five music albums. Their new release Keep Your Animal should be out soon, and work on a monthly web music show is on. Youa��ll get to see these puppets in two shows, this week, and the next, albeit in a slightly different avatar. There wona��t be much singing or rapping this time around, but acting is what is on the cards. Thata��s because Affeld wants to explore the possibilities of puppet theatre. a�?With theatre, I can go into details. I can light one part of the stage, dim the other, or place the puppets wherever I want. But with club gigs, there is no time for all this. You go on stage, do the sound check, start your show, and get off stage,a�? says Affeld, who is on his maiden trip to India, as a resident artiste at Jagriti. Tonight, he will stage a a�?Fusion Puppet Showa�� with Anupama Hoskere, of city-based, Dhaatu Puppet Theatre. a�?Ita��s the story of a man, named Mr Potato, who gets married to an Indian dancer. While I am using a potato-shaped puppet, Hoskerea��s looks like an Indian girl. Ita��s a comical piece,a�? says the puppeteer-musician. Affeld shares he was looking for an opportunity to work with Indian puppets, a�?In India, puppets always seem to have a mythological connection. Thata��s not the case in Germany. I find that quite interesting. They are colourful, and fantastic.a�? His second show in the city, titled Back from the Dark Side of the Moon, is scheduled for next Saturday at Jagriti Theatre. The story revolves around Clari, a man in search of the meaning of life, and hope. Affeld tells us, a�?Here, my puppets will work with four Indian actors. The play is about people who suffer from loss of identity. They get into that a�?non-functional zonea�� in their mind, and find it difficult to fight back. My puppets (a dog, monkey, and bird) will lend a touch of fantasy to the play.a�? Affeld wrote this screenplay in Germany last year, and says ita��s his third theatre production since 2009. And how did he get drawn into the world of puppets, we ask. a�?My father was a sculptor. He taught me how to make puppets. So while Puppetmastaz has been around for 15 years, I have been figuring out, and designing puppets for two decades. I add two animal puppets to my band every year,a�? he concludes.